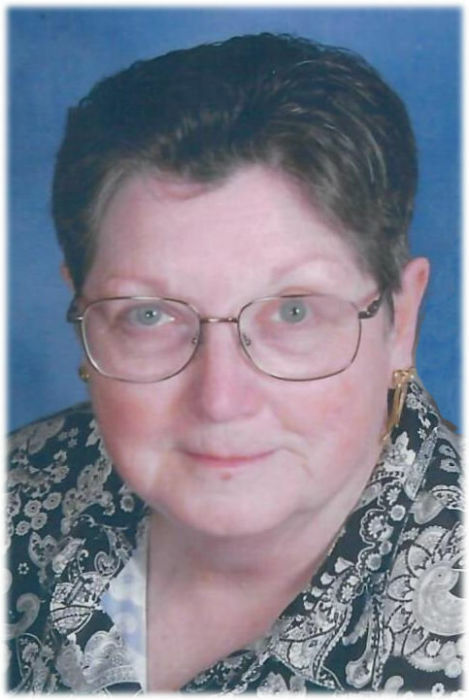 Ethel E. Rollins, 73, died at 10:30 a.m., Tuesday, February 12, 2019 at her residence in Liberty Township. She was born on October 11, 1945 in Van Wert County, Ohio the daughter of the late Eugene Fields and Mary F. (Summers) Shindeldecker. On April 2, 1966, she married John Kenneth Rollins, who survives at the residence. Ethel retired from Marsh Supermarket as a cake decorator and formerly worked at Central Mutual Insurance. She was a member of the Ohio City United Methodist Church and a 1963 graduate of Ohio City-Liberty High School. Family survivors include her husband, John; two sons, Jon E. (Karen A.) Rollins of Willshire and Jason (Deb) Rollins of Rockford; daughter, Jenny (Todd) Lauer of Prospect, Ohio; seven grandchildren, John Rollins, Jared (Olivia) Rollins, Whitney Rollins, Seth Rollins, Caleb Rollins, Faith Rollins, and Trent Rollins; a great grandson, Jax Rollins; two sisters, Ilo Mercer of Convoy and Evelyn (William) Barnhart of Van Wert; and two step-sisters, Betty Jean Flory and Joanna (Tom) Carson. She was preceded in death by three brothers, Robert H. “Bob” Shindeldecker, Carol W. Shindeldecker, and Walter Shindeldecker; a sister, Janice Enyart; and three step-sisters, Peggy, Jean, and Jeanette. Funeral services are scheduled for 10:30 a.m., Monday, February 18, 10:30 a.m. at Cowan & Son Funeral Home, officiated by Pastor Kevin Wilcox. Burial will follow at Woodlawn Cemetery in Ohio City, Ohio. Visitation is scheduled for 2 - 6 p.m., Sunday at the funeral home. Preferred memorials. C.H.P. Visiting Nurses or Inpatient Hospice Center.